Capturing the essence of Romania in downtown Bucharest might be a challenge. Together with the guides from the project 'Art in Bucharest', we take Romanian artists one by one, discovering their works of art and studios. Check this section for more stories of life and art in the capital city. 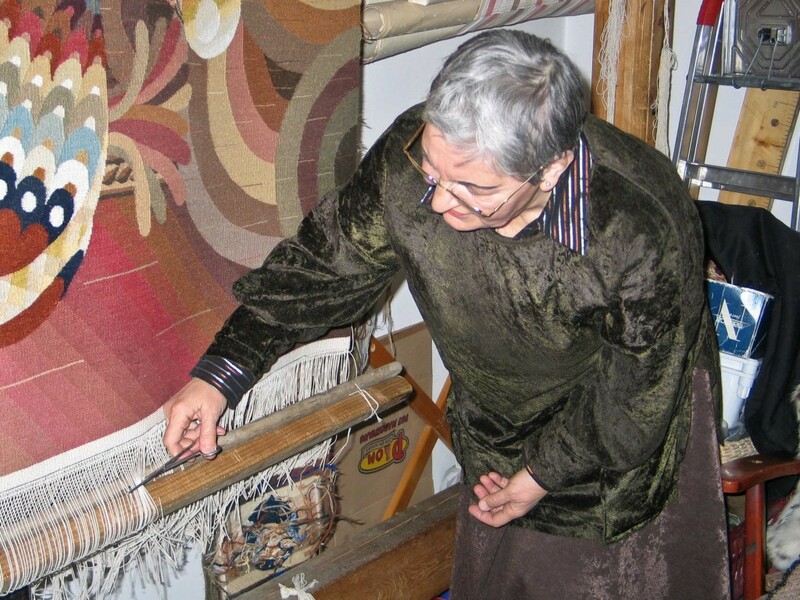 For the connoisseurs, there is one particular spot that opens a window straight to the Romanian soul – the workshop of Cela Neamtu, an internationally acclaimed tapestry weaver. Cela Neamțu’s studio is surprisingly quiet, even though it’s right in the city centre, near Calea Victoriei. The nice and cosy atmosphere contrasts sharply with the crowds of loud people and traffic noise outside. Cela is always charming and friendly, welcoming with elegant gestures and warm voice. She invests not only her skills, but also a lot of patience in her work, some of her pieces taking months or even more than a year to be complete. Time seems to run at a different speed in her tiny, round, shrine like studio. It feels like a secret space, a respite from the hectic city outside. Cela remains modest, despite all the valuable awards and medals received during her career crowding the studio's walls. Her work has earned an international reputation and has appeared in more than 100 exhibitions around the world. She has embraced and distilled traditional motifs, such as altars, windows and birds and every tiny piece of the tapestry shows great refinement, expressed by delicate stitching and harmonious blending colors. She makes most of her tapestries to commission, priced at about 3.000 EUR / sqm. Once we enter her studio, we realize from the very beginning that Cela is preparing for a special event. Some of her best friends are present, as well as her husband. 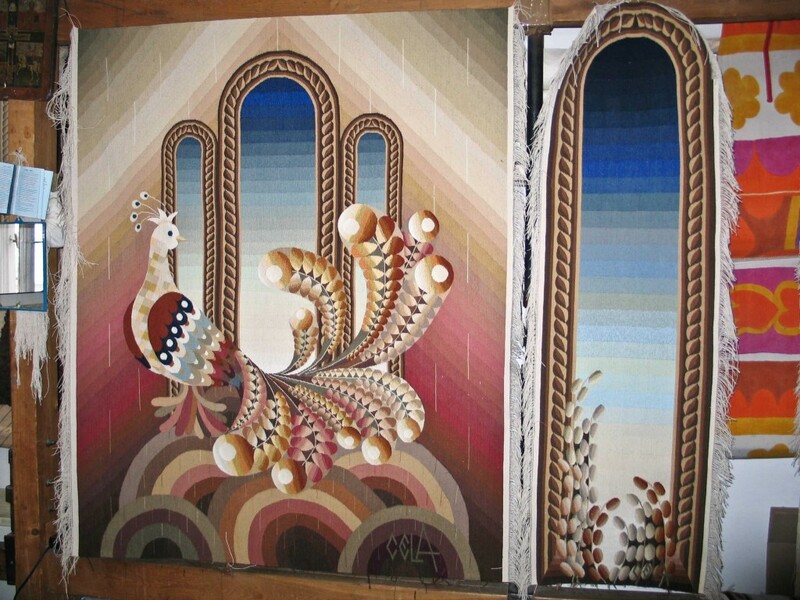 She is at the point of finishing one of her tapestries, ‘The Imperial Bird’, after more than one year of work. She assures us that "tapestry is pure therapy", but adds that "in a way, you become your own slave, but you still love it’. She invites us to taste a cookie and get comfortable. During my previous visits, I managed to understand how the fine haute lisse technique can be combined with the Putna point - a thick wool embroidery, creating a superb mixture of colors. All I could say then was ‘Wow! I’m impressed!’. For the artist, a simple gesture of appreciation from a visitor is as valuable as an art critic’s review. ‘This is the supreme moment!’ said Cela, with excitement, when starting to cut the last threads that fixed the tapestry on its wooden support. I was privileged to witness and to share with Cela the joy of ‘releasing’ her amazing work into the world. I felt both her pride and her relief of finishing such an exhausting piece of art. Yet, so remarkable! The purpose of Art in Bucharest (www.artinbucharest.com) is to connect art lovers to the artist’s universe and to show the creative side of Bucharest. In the studios, visitors have the chance to get a glimpse of the artist’s world.